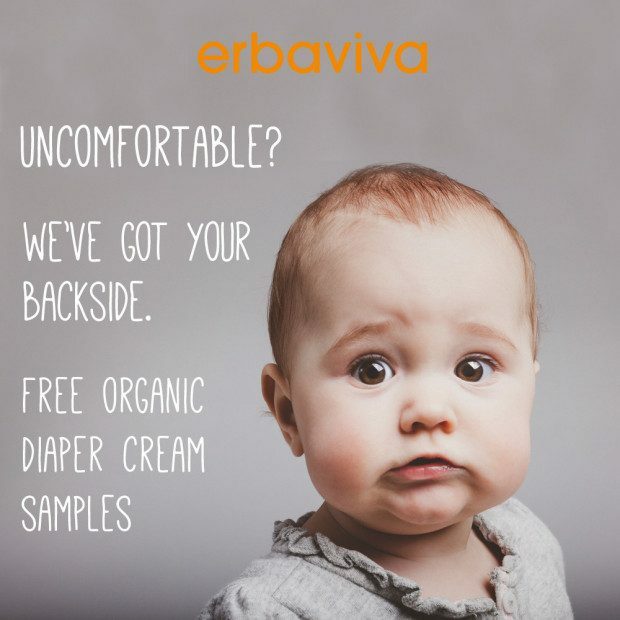 FREE Erbaviva Organic Diaper Cream Sample! You are here: Home / FREEbies / FREE Erbaviva Organic Diaper Cream Sample! Is your baby’s diaper cream making them uncomfortable? Get your free diaper cream sample for the betterment of baby’s bottom. Erbaviva Diaper Cream is formulated with soothing aloe and super-curative Echinacea. Organic essential oils of lavender and chamomile create a light and pleasant scent! Just fill in and submit this online form to get a FREE Erbaviva Organic Diaper Cream Sample!